...and get your hands on the best caramel apple you've ever had! Okay, so it comes in a glass. That doesn't make it any less delicious and satisfying. The dude and I are BIG time vodka people, and definitely love our flavored varieties, so when we saw THIS amazing stuff at our local liquor store we just had to try it! 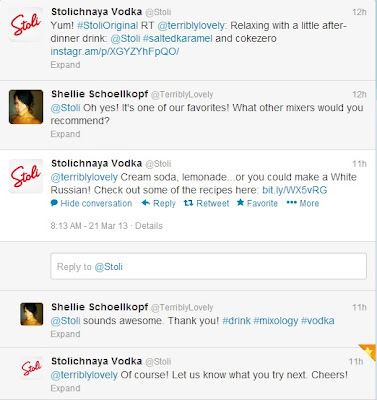 We've been drinking it with Coke Zero, but when I tagged Stoli in my tweet, they offered up some other tasty options, which led to this incredible little treat. Shake over ice and serve in a chilled martini glass. I sugared the rims and garnished with fresh apple. What's your favorite vodka cocktail? "I could totally make that." 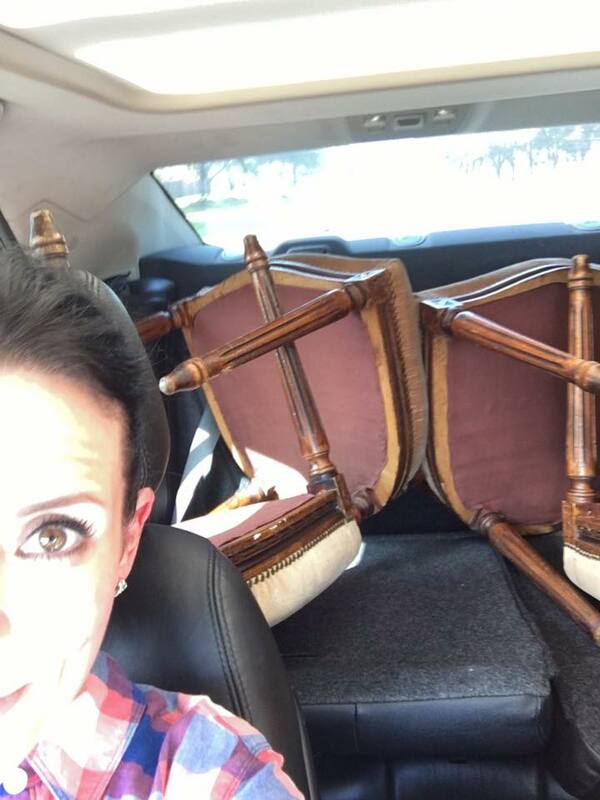 A typical weekend - four antique chairs in the back of my Cadillac, thanks to some mean Tetris skills!